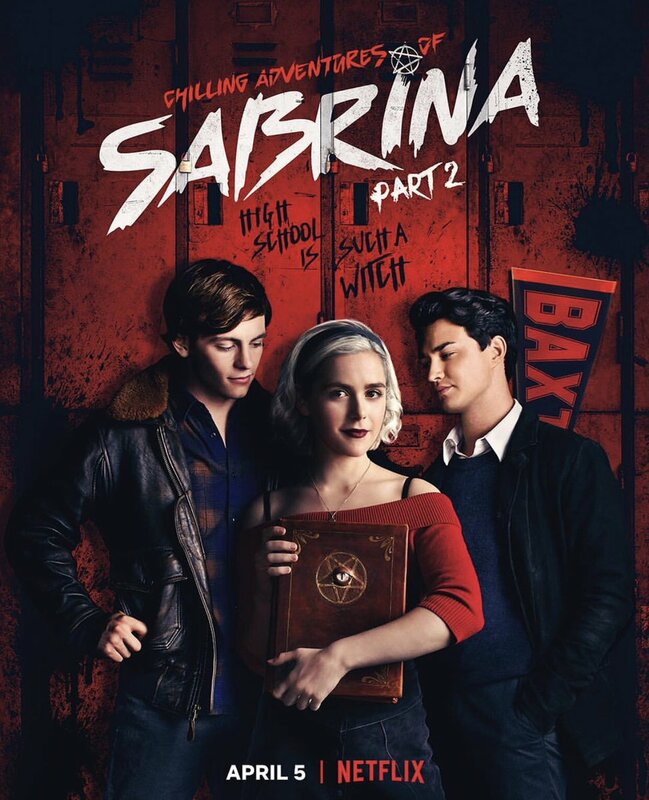 In the previous episode of Netflix’s Chilling Adventures of Sabrina, the three Plague Kings warned of Satan’s plans for her. 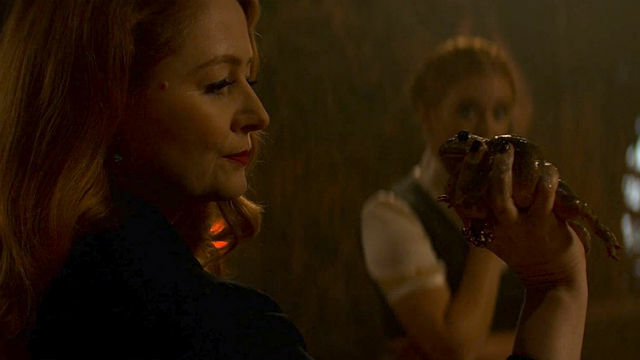 In Chilling Adventures of Sabrina Season 2 Episode 2, Satan and Lilith had a wager over Sabrina’s true nature. When Lilith told Satan about the Plague Kings’ involvement, Satan told her that Sabrina would be his prophet on Earth. Lilith felt Sabrina was not worthy because she tended toward the light. Satan would tempt Sabrina, and if he was successful, Lilith would never question him again. If Lilith won, she would become his prophet. Satan visited Sabrina and told her to steal a pack of gum. However, Lilith, as Ms. Wardwell, caught Sabrina and guilted her into putting it back. Unfortunately, Sabrina developed a Devil’s Claw on her back. Satan continued to tempt her when Dorcas rehearsed for her role of Lilith in the Passion of Lucifer Morningstar. Since defying the Dark Lord had consequences, Satan was messing with her friends too. Sabrina gave Theo a rope that would tie Billy Marlin’s shoelaces together, and when she used it, he severely broke his leg. Roz inexplicably came down with the chickenpox, and Sabrina found Salem dying on her porch. After an appeal to Satan, he came to her to tell her she had to burn down Baxter High. She lit the match, but as she was about to drop it, Satan stopped her, commending her for her willingness to do it. 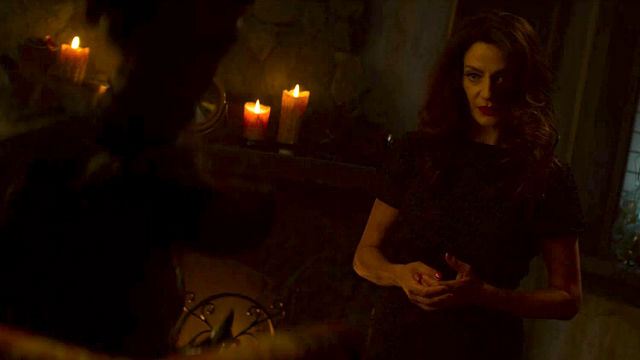 Later, while talking to Nick, Sabrina admitted she was demonstrating her willingness, knowing from Hilda that Satan often cared more about that than the deed itself. 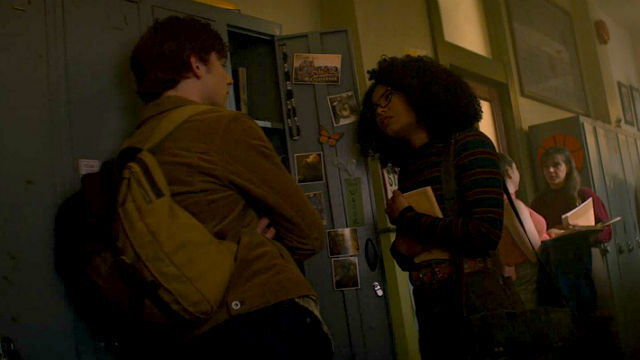 However, at the end of the episode, Sabrina did steal a pack of gum, showing that her alignment had shifted. Father Blackwood wrote his own version of the Passion of Lucifer Morningstar and replaced Shirley with Zelda as the director. Ambrose would play the False God, Nick would be Lucifer, and Dorcas would play Lilith. Sabrina was Dorcas’ understudy. Shirley was tormenting Zelda. A stone gargoyle almost fell on Zelda, and Shirley teleported her toad familiar into Zelda’s throat. Hilda helped Zelda make a poppet that gave her control over Shirley. Zelda demonstrated that she could make Shirley throw herself off a landing but stopped her at the last minute. Next time, she wouldn’t stop her. Dorcas mysteriously came down with the chickenpox, so Sabrina played Lilith. The play was a hit and profoundly affected the real Lilith. Back at Baxter High, Roz and Harvey would be performing Romeo and Juliet for class. After Hilda encouraged Sabrina to see her friends, Sabrina came back to Baxter. Billy was her partner, but after he broke his leg and Roz came down with chickenpox, the teacher paired her up with Harvey. Harvey and Sabrina reconnected, but when she saw a Devil’s Claw on his chest, she ran away. Harvey wanted her to stop messing with him, so he could move on. 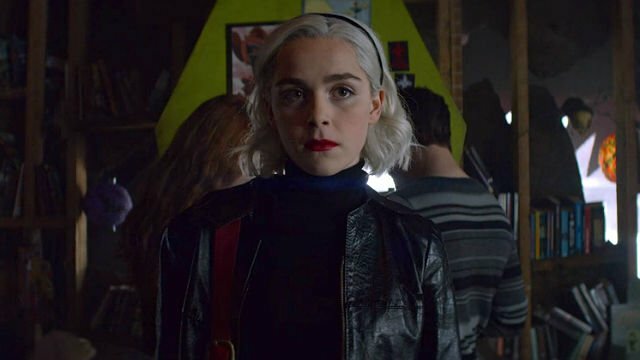 What did you think of this episode of the Chilling Adventures of Sabrina? Let us know in the comment section below!